Now Available! Givenchy Rouge Interdit Satin Lipstick- Marble Rouge Revelateur | Top Beauty Blog in the Philippines covering Makeup Reviews, Swatches, Skincare and More! Givenchy Beauty's limited-edition, marbled lipstick is now available online at Sephora! Go red and make an impression. Marble Rouge Revelateur is a limited-edition shade of Rouge Interdit in a marbled, enigmatic, red color. 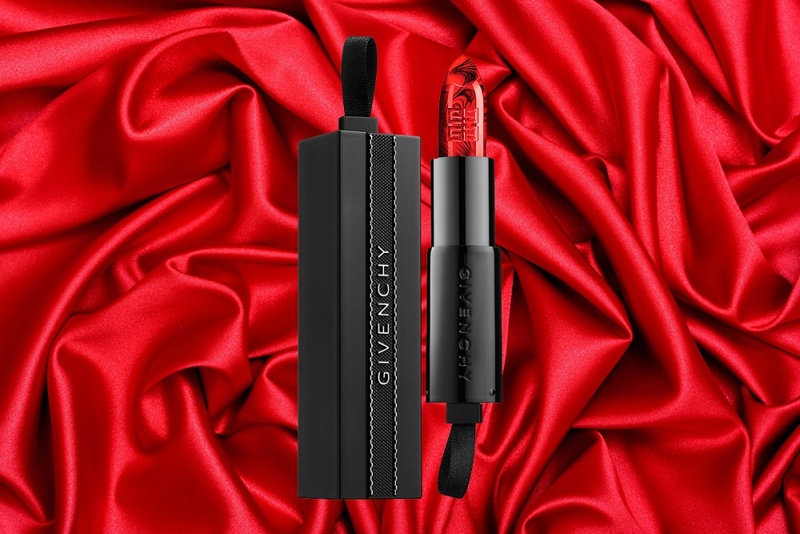 Concentrated within a marbled stick, it combines Rouge Interdit shade No.13 and Noir Révélateur — Givenchy’s iconic black shade in equal parts. Noir Révélateur’s tone that is unfathomably deep at first glance, but then it transforms upon application. Its black color brings depth to the color and enhances its every facet, while a magic pigment reacts with the lips’ pH and adapts to all skintones. The result is a hue that offers a dark, customized shade of red that perfectly suits its wearer, revealing the density of the color and even more mystery. Marble Rouge Revelateur is ideal for a result that always looks unique. Such a lovely color. Great post. it seems amazing. love it!